Bermuda’s “Pink Sale” offers to 50 percent off published rates at nine participating hotels for bookings made from Jan. 23 to Feb. 3, 2014 for travel from Feb. 4 to April 30, 2014. Visitors can enjoy Bermuda’s “Love Month” events running through February, including train and shopping tours in Hamilton, a love-themed walking tour of historic St. George’s and special promotions at attractions, hotels and restaurants. 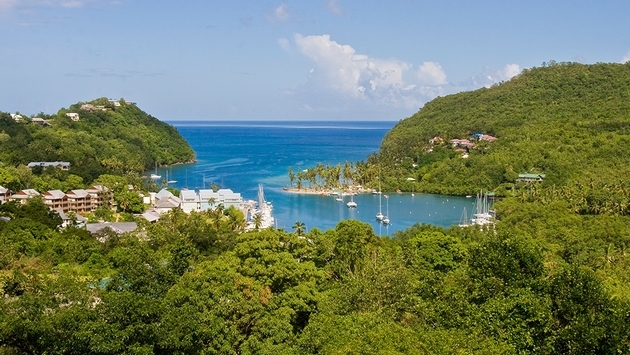 St. Lucia’s Anse Chastenet resort is offering a seven-day “Amazing Adventure” package featuring seven nights’ accommodations, all meals, resort activities from scuba diving to jungle hikes and airport transfers. Double occupancy rates start at $8,534 through April 15, 2014; at $7253 from April 16 to May 31, and at $6,630 from Nov. 1 to Dec. 19. Antigua’s Curtain Bluff resort is offering a winter special package featuring 50 percent off a fourth night to guests who book three nights, or a free seventh night to guests who book six nights. Curtain Bluff’s travel agent commission is based on the all-inclusive rate including meals and activities. AM Resorts’ “Winter Greataways” promotion offers up to 40 percent off published rates, resort coupons worth up to $400 and in-resort added value to travel agents and consumers who book stays at Zoetry Wellness & Spa Resorts and Secrets, Breathless, Dreams, Now or Sunscape Resorts & Spas in the Caribbean and Mexico through Feb. 25, 2014. The offer applies to travel from Jan. 4 to April 18, 2014. Travel agents who register qualifying AMResorts bookings on AMRAgents.com will be entered into a grand prize drawing for a seven-night stay for two, including air to a property of AMResorts’ choice. Travel agents will also receive a $25 bonus commission with every booking of three nights or more.